ST. GEORGE – It has been said that Ironman triathlons are some of the hardest races on earth. And one St. George woman – wife, mother and grandmother – who is no stranger to marathons is about to find out. Many know that the St. George Ironman has been cut down from the full Ironman length by about half, leaving the total distance of the race at around 70.3 miles. However, this cut does not mean that the race will be what anyone would refer to as a walk in the park. When people think of Ironman competitors, the images that often come to mind are professionals in their mid-20s to early 30s, and ex-Navy SEALs. Yet, we have our fair share of locals participating who may not gain international fame from this race but are no less unique and impressive. Jill McDonald is one such competitor. She is a native of St. George and has lived here all her life. At this point, she has completed 41 marathons and is on track to have 50 completed by the time she turns 50 in November. Some of the marathons she has run include: 15 St. George marathons, and three Boston marathons. Jill McDonald and her husband Jody McDonald are the proud parents of three children, and grandparents to three with one on the way. 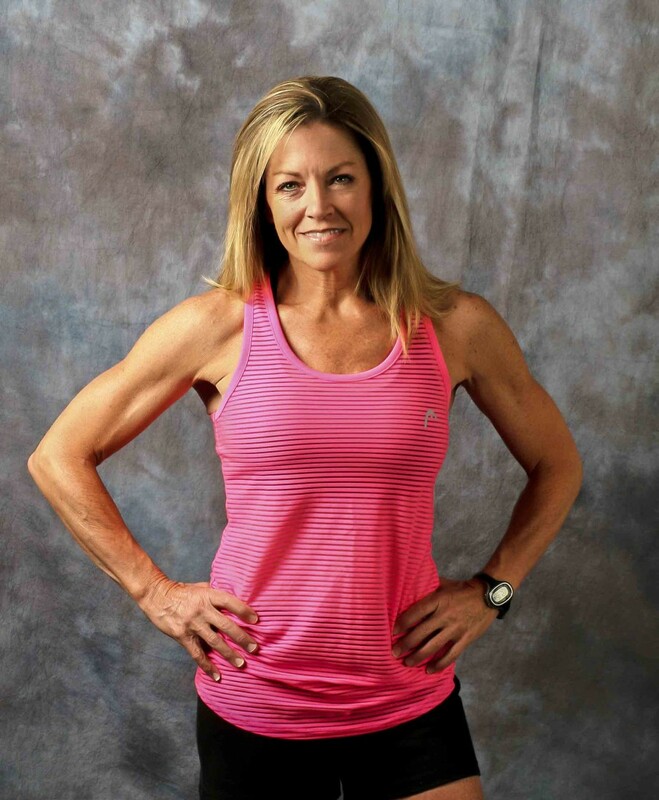 Although she has run many marathons, this is Jill McDonald’s first Ironman event. The immensity of the competition does not come without apprehension. Jill McDonald has practiced parts of the course as much as she can, and has driven it to see where the best places are to station loved ones for support. In a grueling event like this, support means everything. She is a dedicated woman, both at home and in her love of running. Somehow Jill McDonald manages to keep it all in balance. Training for events like these is not easy, and neither is being a good mom. Yet after nearly 30 years of marriage, she still manages to push forward, being very attentive on all ends. This race will be hard, but Jill McDonald will not be doing it alone. Her sister, Tiffany Graff, will also be competing alongside her, as she has done in many races before. Races like these are often intimidating and uncertain. However, some things do seem certain, not just for Jill but for every local competitor: There will be loved ones watching, waiting, and cheering every step of the way. No matter what the outcome, people like Jill McDonald make their families, friends, and community proud. A.J. Mellor is a photojournalist and reporter for St. George News. He has spent the majority of his life in sunny St. George, though he was born in Manti, Utah. He has gone to school in St. George from pre-school to college; and values what the community has to offer. He has traveled the world quite a bit; including living and working in Taiwan for an extended period of time. Everywhere he has gone, he has had his trusty camera in tow. He married his wife, Cheyenne, in 2011, and they are expecting our first child, a boy, in July 2013. There are few things he loves more than a great photo, and great writing; though, he makes his wife and soon-to-be-born son the exception now. He specializes in dynamic, quality imagery; that above all, tells a story. He considers himself one of the lucky few in the world these days who truly loves what he does for a living.